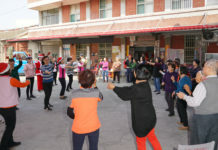 In the late night on 31 December 2017, many people chose to celebrate a new year countdown in mass assemblies across Taiwan island, but the congregational members of Lu-Chu Presbyterian Church held a peaceful prayer meeting inviting brothers and sisters to share their faithful stories and witness of 2017 via praying or singing to welcome a brand new 2018. 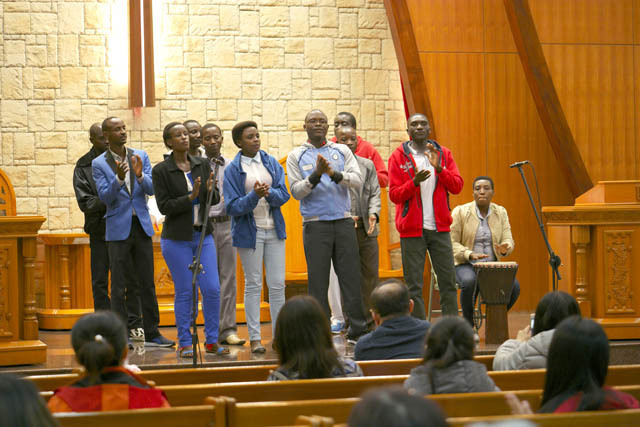 Eleven college exchange students, from the Republic of Burundi at Eastern Africa, studying at Chang-Jung Christian University(CJCU) at present, were also invited to attend this prayer meeting to share their musics and witness with the members of Lu-Chu Presbyterian Church. A major push behind these Burundian students’ being able to study in Taiwan is due to a cooperative project between CJCU and The Jane Goodall Institute. 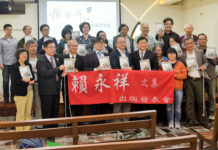 During her introduction of these Burundi students to the congregation, Rev Chen Ling-jeh, pastor of Banner of Love Church, delivered her sincere prayer that all people in Taiwan could treat each other with justice and peace, just like these Burundi students were well received in the congregation with love and respect, with a passionate vision of pulling down all the strongholds of racism, sexism and all kinds of segregation in the new year 2018.